As 2015 comes to a close, photo collages are circulating Instagram. Thanks to a website called Best Nine, users can find their nine most popular photos this year, along with a round-up of how many likes they received. Since you can search anyone's Instagram handle, this also applies to celebrities. The site revealed the most popular Insta celebs in 2015: Taylor Swift topped the list, followed by her BFF Selena Gomez. Ranking in seventh place, Kylie Jenner earned more than one billion likes on her photos. That's insane! Then again, they don't call her King Kylie for nothing. After assessing the youngest Jenner's photo collage, I've come to a few conclusions. While there's plenty that can be learned from Kylie's Instagram success, there's one major takeaway: People love selfies. Self portraits account for one-third of the photos. Another three are photos that technically are selfie-esque, but were probably taken by someone else, considering they're a further distance away. Regardless, this is valuable intel. Next time anybody selfie shames you, brush it off! Clearly the technique works for Kylie. Loving Instagram isn't something to be ashamed of; it's a fun way to express yourself. Kylie's most popular Instagram is a photo of her holding her high school diploma. It's pretty awesome that her fans value an education just as much as she does. Embrace your brains! As you can see, she switches up her pose. She doesn't even do the standard hand-on-hip pose most people have become accustomed to. A photo of Kylie and boyfriend Tyga at Kris Jenner's Great Gatsby bash ranks in the top photos. It looks like Daisy Buchanan's style is forever relevant. Whether Kylie's dark lips in one photo or turning a picture black-and-white, ordinary colors can be boring. Switch things up for more likes. Remember in 2005 when everybody would use their clunky digital cameras to take photos in their bathroom and make them their MySpace picture? I could cringe at the thought. But Kylie made mirror selfies cool again. 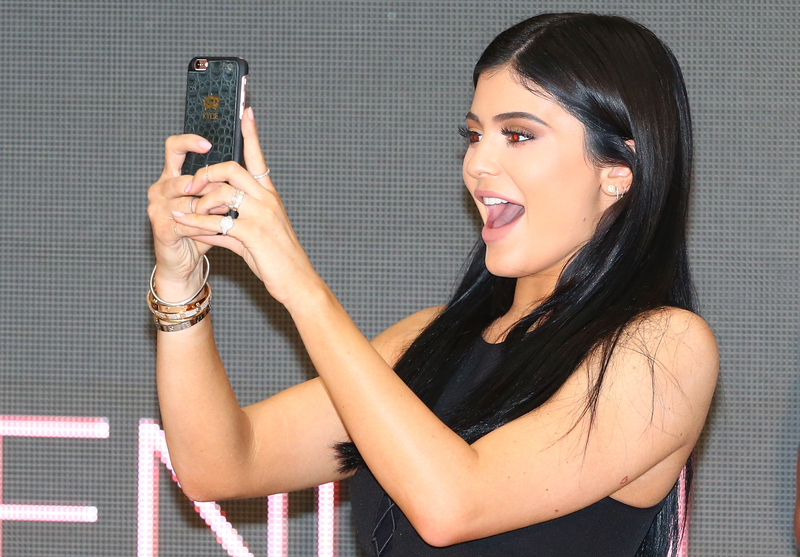 So there you have it, Kylie's keys to Instagram success! Bottom line: Never be ashamed to take a selfie.